Many people are surprised to learn that dividend income and reinvestment can account for nearly 90% of total stock market returns over time. Most people invest in companies hoping to catch a stock on the upswing - and bring in mega-returns for themselves in the process. But what if you found a company that could rack up mega-returns even if its stock price stays flat? That's the situation with the high-yield dividend stock Altria Group Inc. (NYSE: MO). Payout hikes for dividend-paying stocks were plentiful last week, and topping the list is Altria Group Inc. (NYSE: MO), which raised its regular quarterly dividend for the 48th time in the last 45 years. 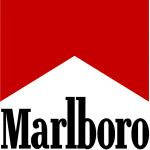 The tobacco giant announced Thursday it's boosting its quarterly payout 8.3%, or $0.04, to $0.52 per share. But Altria isn't the only company that raised its payout last week. Following are the 28 other dividend stocks that sweetened the pot during the week ending Aug. 22, 2014.